This entire week, I am previewing new products that will be launched later this week at the National Craft and Hobby Show in Anaheim California. 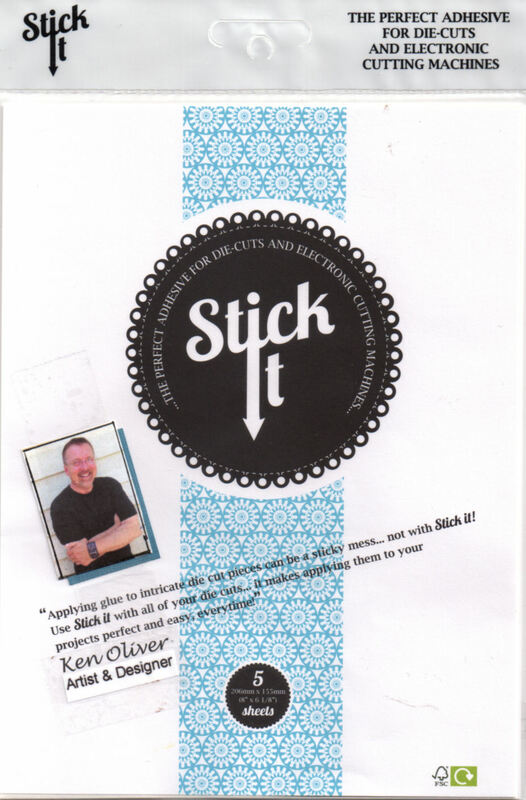 I am really excited about the new products I'm bringing to the market this year under the brand name Ken Oliver Crafts. Today's sneak peak is from style contributor Nancy Wethington of Art-From-the-Heart. 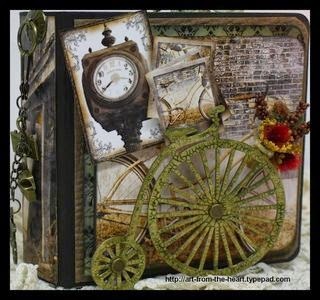 It's a mixed media journal using 2 new paper lines, Hometown and Studio. Both have been previewed earlier this week, but she combined them together in one really amazing project. 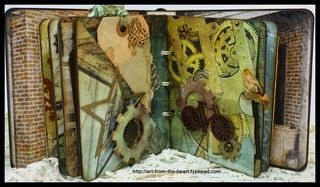 Just look at the detail in this amazing journal! 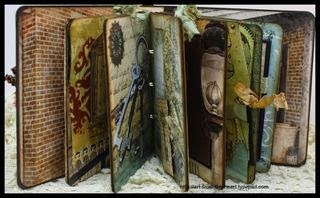 The pages are interactive with pockets and tags...I've always loved Nancy's handmade books, she is an amazing artist. Her book is just full of wonderful details. And, I love the way Nancy combined both the Studio Collection and the Hometown Collection into one fabulous piece of art. 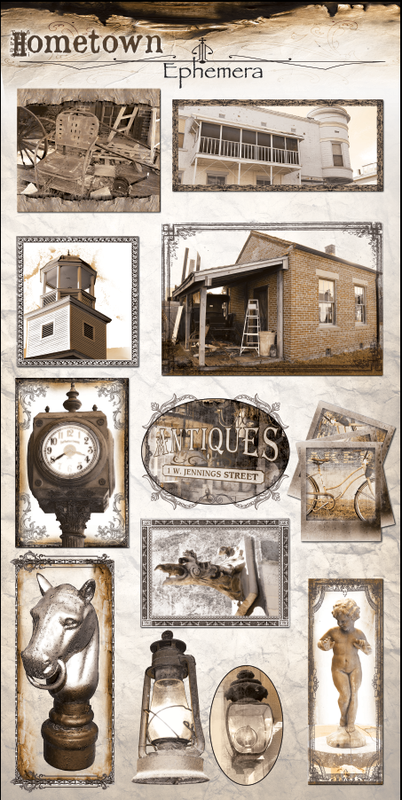 And here's another cool thing about the Studio Collection and the Hometown Collections...here's the real sneak peek! There are clear stamps with the same wonderful images...I can't wait to get to the show to show these new collections during the show. I am so excited about these product lines and I can't wait until they're available for everyone to try! Now...make sure to check back tomorrow...there are some more previews that you'll want to see for sure! Awesome album!!! I'm loving the new papers and the ephemera is definitely swoon worthy! Both of these paper lines are amazing!! Can't wait to get my hands on them to create a few projects that are cooking up in my brain! LOVE the ephemera pages also!! So many great elements! TFS! very cool, looks like just my style, can't wait to see more! Ken..so proud of you....CONGRATULATIONS! All of your hard work has paid off!